South Africans can sleep with ease in the knowledge that nobody and no actions are above the law‚ says former ANC treasurer general, former Mpumalanga premier – and poet – Mathews Phosa. He was commenting on the Constitutional Court’s finding on Thursday that President Jacob Zuma had acted illegally and in violation of the Constitution. Addressing the Phalaborwa Chamber of Business‚ Phosa said: “Our democracy is safe. With the ruling handed down in the Constitutional Court today one of the most important tests of the Democratic principles contained in our Constitution has been tested and passed. Phosa added that Zuma’s position as president had become even more controversial than before. “The whole country now waits with bated breath to hear whether he‚ and my party‚ the ANC‚ will do the right thing and relieve us of this crippling nightmare. “We need a new beginning‚ fresh and selfless leadership and a collective that finds a cause bigger than itself‚” Phosa said. Confirming on Thursday that the remedial action taken against Zuma by public protector Thuli Madonsela was binding‚ the Constitutional Court ordered that Zuma must pay back the money spent by the state on non-security upgrades at his Nkandla residence within 105 days. Chief Justice Mogoeng Mogoeng said Zuma’s failure to comply with Madonsela’s remedial action was inconsistent with the constitution and invalid. Phosa’s first English poetry collection, Chants of Freedom: Poems Written in Exile, was published by Penguin last year, and launched with Kgalema Motlanthe and Julius Malema in June. Read an excerpt from the book here. It is for its fynbos – fine-leaved, shrub-like vegetation – that the southwestern and southern Cape has been named one of the world’s six plant kingdoms: the Cape Floral Kingdom. At less than 90 000 square kilometres, it is the smallest floral kingdom on earth. Yet it is home to 8 600 plant species, some 5 000 of which occur nowhere else in the world. Fynbos is a mixture of four plant types: protea shrubs, heath-like ericas, reed-like restios and different bulbous plants. The Cape Floral Kingdom contains 69 of the world’s 112 proteas, 526 of its 740 ericas and, among bulbous plants, 96 of the world’s 160 gladiolus species. Table Mountain alone boasts almost 1 500 fynbos species. 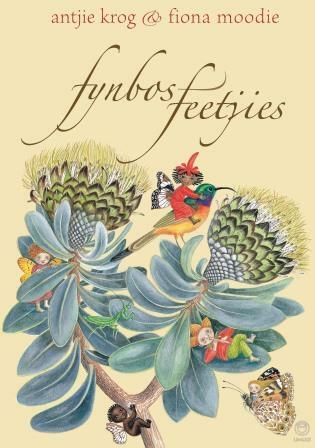 With Fynbos Fairies Krog and Moodie, both of whom regularly walk on the slopes of Table Mountain, pay homage to one of the natural wonders of the world. Inspired by Cicely Mary Barker’s A World of Flower Fairies, Krog began the process by writing poems that each featured a plant and at least one imaginary little being. Moodie meticulously researched the features of each plant, insect and little animal depicted in these pages. The fairies and other imaginary beings in these pages are her own creations, but the flowers and creatures she copied from nature. Antjie Krog, one of the country’s most prominent poets, made her debut while still in high school. Since then, she has published 11 volumes of poetry, two of them collections of children’s verse: Mankepank en ander monsters and Voëls van anderste vere. She is the author of the acclaimed Country of My Skull, as well as A Change of Tongue, which appeared in Afrikaans as ’n Ander tongval, and Begging to Be Black. 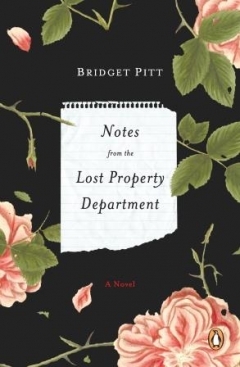 She has also published a novela, a play and three poetry collections in English. Her work has been translated into Arabic, Dutch, English, French, German, Italian, Serbian, Spanish and Swedish. She holds four honorary doctorates and has been awarded the Eugène Marais Prize, the Rapport Prize, the Hertzog Prize, the rau Prize, the Elisabeth Eybers Prize, an ATKV prize and an award for excellence in translation from the South African Translators’ Institute. She and her husband, John Samuel, live in Cape Town, where she is Extraordinary Professor at the University of the Western Cape. Fiona Moodie has traveled widely and lived in various European countries before returning with her husband and twin daughters to settle in Cape Town in 1992. 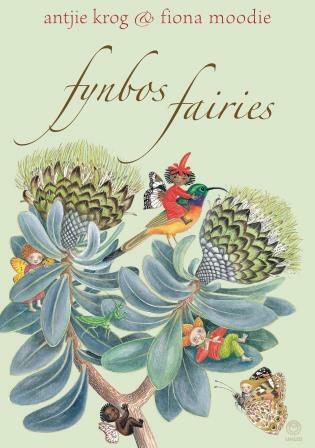 Fynbos Fairies is one of 15 children’s books she has illustrated since 1979, when Bohem Press in Zurich published Benjamin Rocking Horse. She has also written the text for all but six of these books. Her children’s books have apeared in numerous countries, among them China, Denmark, the Faroe Islands, France, Holland, Italy, Japan, Norway, South Korea, Spain, the United Kingdom, the United States and, of course, South Africa – and in many languages. In 1996, Nabulela, her eighth book, was published locally in seven languages. Her illustrations have been shown at major venues, including: Galerie MAAG – Zurich; International Youth Library – Munich; Metropolitan Museum of Modern Art – New York; Museo Nacional de Artes Decorativos – Madrid; Habashi Museum of Art – Tokyo; Centro Culturale di Esposizione – Venice; Bibliothéque Mèjanes – Aix-en-Provence; and Centre Georges Pompidou – Paris. 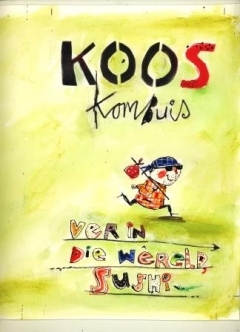 In 2000 she received the SAPPI Prize for Atlantis Rises and in 2010 the MER Prize for best illustrated book. She was awarded the UNICEF South African Early Childhood Development Award for Best Author in 2015, and in the same year received the Media24 prize for best illustrated children’s book of 2014. South Africa should make it easy for skilled Afrikaner whites and other whites who abandoned the country to return and stay‚ says ANC stalwart Mathews Phosa. Phosa, whose book of poetry Chants of Freedom: Poems Written in Exile was recently released, was addressing a roundtable on “Whiteness – Whites‚ Afrikaans‚ Afrikaners” hosted by the Mapungubwe Institute for Strategic Reflection (MISTRA). Phosa said the economy was ambling along at a substandard level as a result of the country’s inability to gather and direct the skills and expertise that was available as well as from the interference by government in employment policies and practices. “This economy can only grow at expected levels once we acknowledge that everybody has an equal role and responsibility in making it successful‚” he said. Successful nations‚ Phosa added‚ were built on education‚ skills development and harnessing experience. They also allocated substantial resources to research and development and entrepreneurial support. “Let’s open the doors and welcome those skilled and experienced Afrikaners and other whites that abandoned their beloved country in search of security‚ stability and acknowledge their skills in our economy. Let’s make it easy for them to return and to stay‚” he said. As for social stability‚ he said‚ the momentum of the student challenge of the past weeks appeared to be unstoppable and should provide a guide for what might come in the future. “We have seen dissent in the past. Protest action‚ occupation of public spaces‚ militant rhetoric and destruction of critical infrastructure. We have indeed seen it happening time and again. Often‚ government was nowhere to be found‚ only arriving on the scene when the smoke was thick and the security forces tested to their limits‚ he said. “Then we get the promises‚ the political jostling for position and the masses dispersing. They often regroup in another form‚ with another agenda. But they certainly regroup. “Will the next crisis stem from the grannies occupying Parliament in search of higher pension and other social welfare benefits putting a further strain on the economy?” Phosa asked. He added that a conflict free South Africa‚ reinforced by sustainable economic growth and full employment‚ would support the long-term economic and political stability of the continent and the world. “Whereas human rights and human development feature equally high with regards to economic stability and development‚ conflict resolution‚ the establishment of stable democracies and long term capital investment and economic growth are preconditions to fairness and regional stability. “A successful and cohesive nation engages in practices where everybody is treated equally‚ without favour. They apply the law in all aspects of social life consistently and without prejudice. Their leaders leads from the front‚ engaging in constructive debate taking responsibility for nation building and condemn corrupt activities‚” Phosa stated. 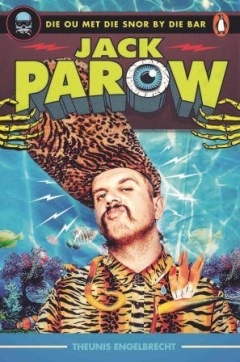 He added that with powerful functioning business and community structures such as the Afrikaanse Handels Instituut (AHAI)‚ the Afrikaanse Taal en Kultuur Vereniging (ATKV) and local Sakekamers‚ the Afrikaners had an important role to play in the development of South Africa. “Our antagonism towards a language or those peaking it as a first language at home is often based on our perceptions or lack of information‚” Phosa said. He added that an analysis of the results of the 2011 census indicated that more black‚ coloured‚ and Indian South Africans spoke Afrikaans at home than white South Africans. According to a study by the SA Institute of Race Relations (SAIRR)‚ only 40 percent of those who spoke Afrikaans at home were whites. This meant that out of 6.9 million people who spoke the language at home‚ 2.7 million were white‚ while the rest were from other racial groups. “In short‚ the results from the 2011 census indicated that Afrikaans is spoken at home by 13‚5 percent of the population‚ second only to the 22‚7 percent of the population that speak isiZulu at home. “I call on all white Afrikaners to engage in forming an inclusive and cohesive cultural bond between all Afrikaans speaking South Africans as the foundation for inclusiveness and nation building without elitism and exclusion of other cultural and population groups. “We are all South Africans‚ be it by birth‚ descent‚ naturalisation or another Home Affairs action. “Let us not overemphasise Whiteness‚ Afrikaners‚ Afrikaans or any other popular term‚” Phosa concluded. Earlier this year revered politician and anti-apartheid activist Mathews Phosa, author of Chants of Freedom: Poems Written in Exile, took part in an open discourse series at Unisa on the ethics of gender. During the discussion Phosa, chairperson of Unisa’s Council, stated that he “believes that unless education is seen as an instrument of empowerment, society isn’t going to equalise”. Furthermore, he stressed the importance of seeing all children as equal beings, regardless of their gender, noting that “life is going to challenge them the same”. “If we don’t give room for education, then we’re jumping a very big step. We need to empower the boy and girl child the same way,” Phosa said. “How does the curriculum advance gender equality at universities and Unisa in particular? And I’m not just talking about gender studies but curriculum across the board,” asked Thoko Didiza, MP. She was speaking at an ethics open discourse series on 28 August 2015 that focused on the ethics of gender. Attorney, politician and anti-apartheid activist Mathews Phosa, whose poetry collection Chants of Freedom: Poems Written in Exile was recently released, was profiled on Iman Rappetti’s Power FM show recently. Mathews Phosa recently attended the Open Book Festival in Cape Town, where he spoke about his new collection, Chants of Freedom: Poems Written in Exile, with Antjie Krog. During the discussion, Phosa told Krog about his family background and how he came to write poetry. He also read a few of his poems. The topic of the Afrikaans language came up, and Phosa explained how he came to write in Afrikaans. He emphasised that the language itself is innocent, although it may be misused. He says “we should not hate Afrikaans itself”. Isabeau Steytler wrote an article about the session for SLiPnet. Mathews Phosa’s recently published collection of poetry is the result of the fortunate rediscovery of a number of poems he wrote while in exile in Maputo, Mozambique. In the introduction below, extracted from Chants of Freedom, Phosa writes that poetry, was a favourite hobby of his in exile. While he managed to find time to indulge his desire to write, he did not have the luxury of being able to archive his work. The chaotic way it was written and collected, as well as message of the poems in his collection, reflects the reality of the struggle. In 1981, I opened the first black law firm in Nelspruit, in the then Eastern Transvaal (today’s Mpumalanga Province) with two friends and colleagues. Among the numerous cases the firm handled, I also represented members of the African National Congress (ANC) and its military wing, Umkhonto we Sizwe (MK, the Spear of the Nation). Consequently, in 1985 I was forced to flee my country of birth into exile. During my stay in Maputo, Mozambique, I became a regional commander of a unit of MK. This unit operated clandestinely, servicing political activists inside South Africa. It was a perilous task. The apartheid state used every means at its disposal, mostly illegal, to break the ANC. Exposure could result in detention, disappearance and even death. Members of my unit had to be extra vigilant; we were always on the move and in hiding. It is surprising that in spite of this I was able to find time to indulge in one of my favourite hobbies: writing poetry. I wrote many poems in exile. Regrettably, archiving them was a luxury I did not have. Chants of Freedom is a collection of poems which, fortunately, made it back to South Africa after 1990. I became aware of the existence of these poems only this year, when I was researching for my biography. I felt it was imperative that they be published, including a couple I had penned recently. All the poems in this book are in English. The poems in Chants of Freedom are a reflection of the various influences during the different times in my life. For example, I grew up in a rural area where we lived off the land and hunted to survive. ‘This one is ours’ speaks to that time in my life, a life that was disrupted by the government’s policy of forced removals. Many black people were forced to become migrant labourers. I have vivid memories of my late father working as a teacher in the distant Lowveld villages. Before him, my grandfather worked in the diamond mines in Kimberley. ‘Gold’ illustrates the plight of migrant labourers in South Africa. The poems also pay tribute to the role played by women and the youth in the liberation struggle. In ‘The beautiful ones are now born’, I show how the youth resuscitated the names of Nelson Mandela, Oliver Tambo and Joe Slovo, among others, and inspired widespread resistance across the country. I finally took the decision to leave the country and go into exile after learning that one of my comrades, with whom I operated underground, had been detained and severely tortured to the point that he broke down and divulged some sensitive information to the police about my role. Such a comrade would generally be perceived as a sellout. In ‘Comrade, you’re not a traitor ’, I attempt to explain that we cannot afford to judge or condemn those we feel betrayed us and the struggle. We have to first try to understand the circumstances that caused them to respond in the way they did. My ‘chants of freedom’ are distinct in their attempt to demonstrate that the political activists were human beings. They had feelings. Occasionally, feelings of uncertainty crept in, and quitting for some, if not most, seemed like the best option. Conversely, ‘My share’ attests to the unyielding belief among political activists that South Africa would one day be free and everyone would enjoy the fruits of democracy. This is what inspired peace-loving people to continue struggling in spite of the risks involved. Finally, the poems in this book celebrate the victory over apartheid. They eulogise all those who contributed to the fight for democracy, black and white. They are a clarion call to all to work together to make South Africa a better country. I want to acknowledge my grandfather ‘Mochaka’ and grandmother ‘Tjeketjeke’ for contributing so much to my upbringing; and my father and mother for ensuring I received education, and for shaping my life. I want to thank my wife who stood by me before and during the difficult times of exile when she lived like a widow; for her unstinting support and love. I want to thank my four children – Moyahabo, Tshepiso, Mathlatse and Lesika – for being such a great inspiration and source of unending happiness. to make or to break. we need a tank of ideas. for burgeoning nations, wisdom is the watchword. Breyten Breytenbach is hailed in South Africa and internationally as an influential writer and critical thinker. Parool/Parole is a collection of some of his most memorable and poignant speeches, which, through their resonating subject matter, continue to light literary, political and philosophical fires. 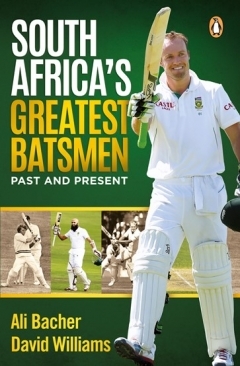 Each of these public addresses – delivered in English and Afrikaans at various events around the world between 1968 and 2015 – links historical moments in the development of Afrikaans and South African literature to key events in Breytenbach’s life and career. His speech at the Sestiger Summer School in 1973, for example, represents a watershed moment regarding Afrikaans writers’ attitudes towards social and political issues. In his Rapport Prize acceptance speech, delivered in 1986, Breytenbach brazenly confronts Afrikaners about their support of an apartheid police state – an argument so compelling and groundbreaking in its style of address that it will be remembered by future generations. And who will be left unmoved when reading Breytenbach’s plea in the Palace of Justice in 1975, when he addressed the judge who would eventually send him to jail on terrorism charges? The recent tribute at André Brink’s memorial service in Cape Town reaffirms the author’s passionate commitment to his craft, and demonstrates how his creative output is framed by an acute sense of morality. The speeches in Parool/Parole, many of which have not been published before, will provide valuable insights into the mind of a literary icon. 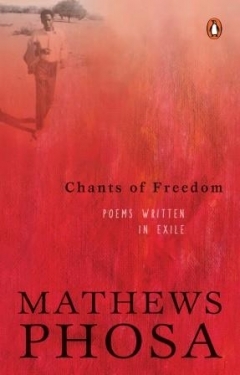 Kevin Ritchie, for Daily News, recently spoke to Mathews Phosa about his new poetry anthology, Chants of Freedom: Poems Written in Exile. 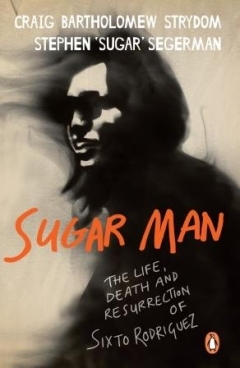 Ritchie gives some background information about the collection and the context in which it was written. Phosa wrote these poems in 1984, when he was in exile. Ritchie says of the poems: “they’re angry, burning snapshots of a bloody civil war that is fast being airbrushed”. “When I look at Marikana for example, the shooting of black people by black people and killing them, it brought the guts out of Sharpeville. It scares me, it mustn’t happen again. You don’t want to hear that a human right is being violated in any manner whatsoever, you want to promote human rights all the time. With eery prescience, Phosa writes in Boys and Girls are back, 22 years ago, of the work that must be done to create a new society, one of harmony and peace, one of service.